I still remember the first time I made DIY wood signs with a stencil and paint. I was SO excited to see my creation as I eagerly lifted my stencil, only to reveal a blurry image where my paint had bled. 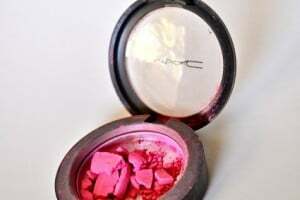 I was devastated! Luckily since then I’ve learned some tricks to help prevent paint bleed when making painted wood signs. 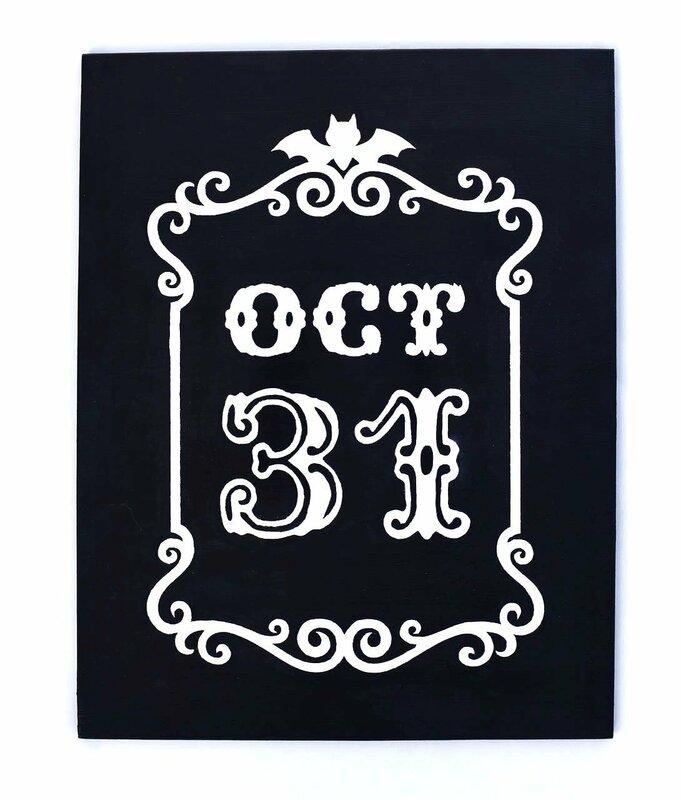 I’m excited to share the secret with you, along with the cut file for a fun Halloween wood sign you’ll love! 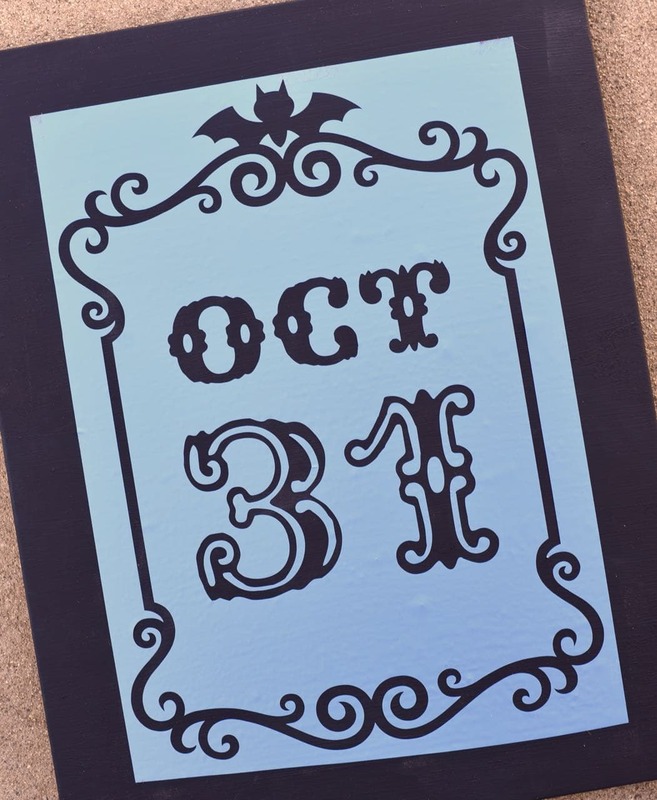 I’ll be showing you how to make your own diy wood signs, how to design your own stencils for wood signs (and give you a free Halloween cut file), how to cut the stencil with a Cricut machine, and how to successfully paint your sign. 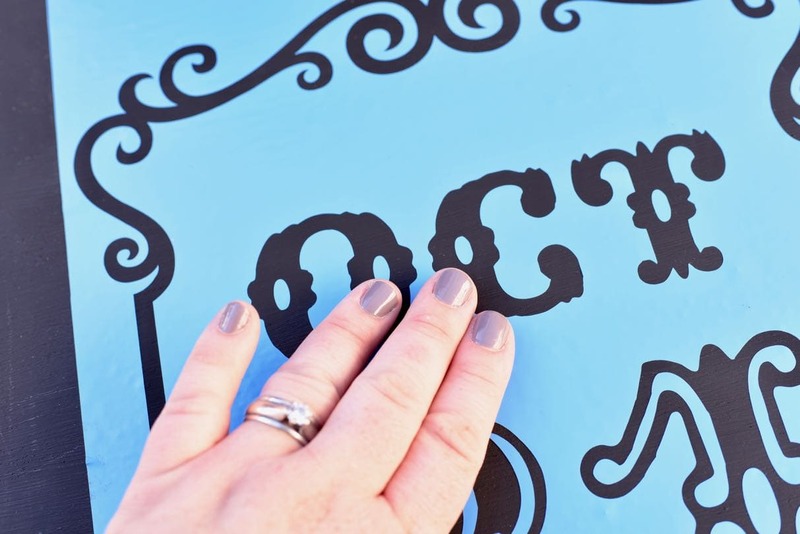 Would you believe me if I told you it ‘s easy to design your own DIY wood signs stencil with your Cricut machine? It’s true! 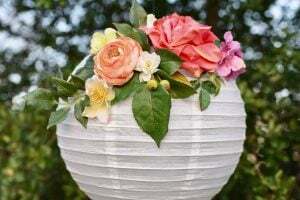 Post contains affiliate links, which means that if a purchase is made using these links at no extra cost to you I get a small commission to help support my blog. Thank you! Step 1. Decide how large you would like your wood sign. Pick a piece of plywood in the thickness you want, then have a friendly worker at your local home improvement store cut it down to your preferred size. My wood sign is about , but you can make yours smaller if you’d like. Use a palm sander to sand the front and sides of the wood. Wipe off any dust so the wood surface is smooth and clean. Paint the board your desired color. You might multiple coats depending on the paint coverage you would like. Step 2. Go to Cricut Design Space and design your sign OR use the Halloween cut file I’m sharing with you. I love how easy it is to create stencils for wood signs with Cricut. 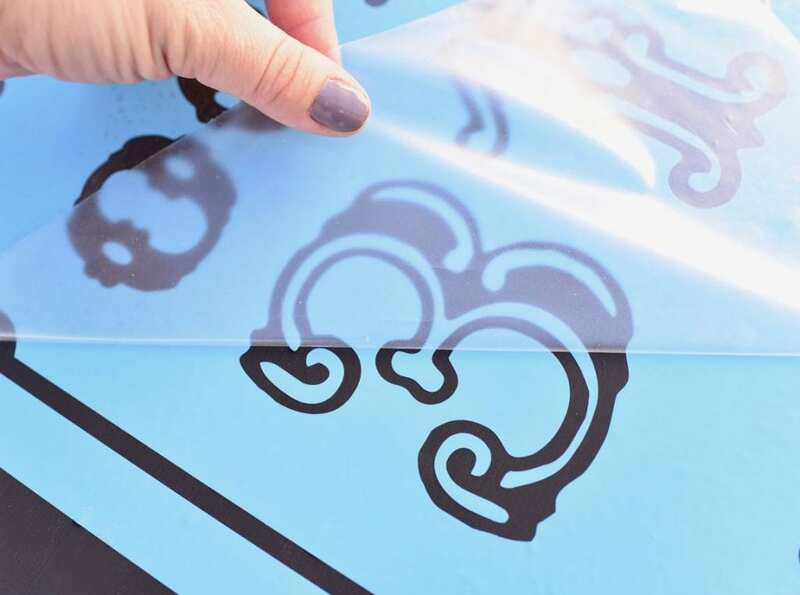 Resize the design if necessary to fit your piece of wood, then follow the prompts to cut the design out of removable vinyl with your Cricut machine. 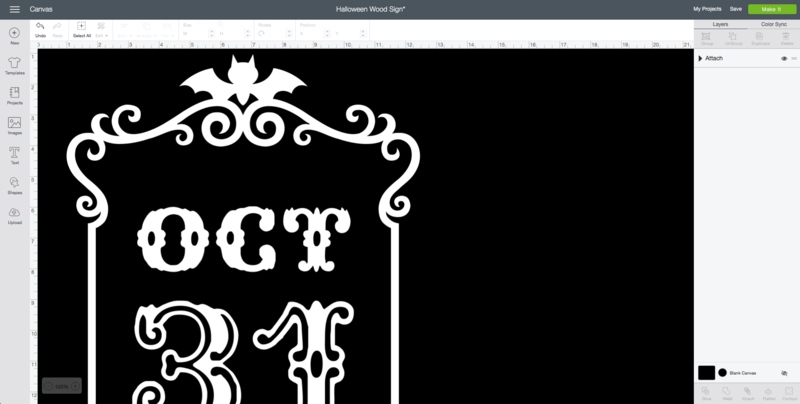 If you are cutting your stencil in one piece, the design I created is the maximum width you can cut on the Cricut machine, which is about 11.5″ wide. You will need to use a long 24″ Cricut mat since the design is longer than the standard 12″ mat. 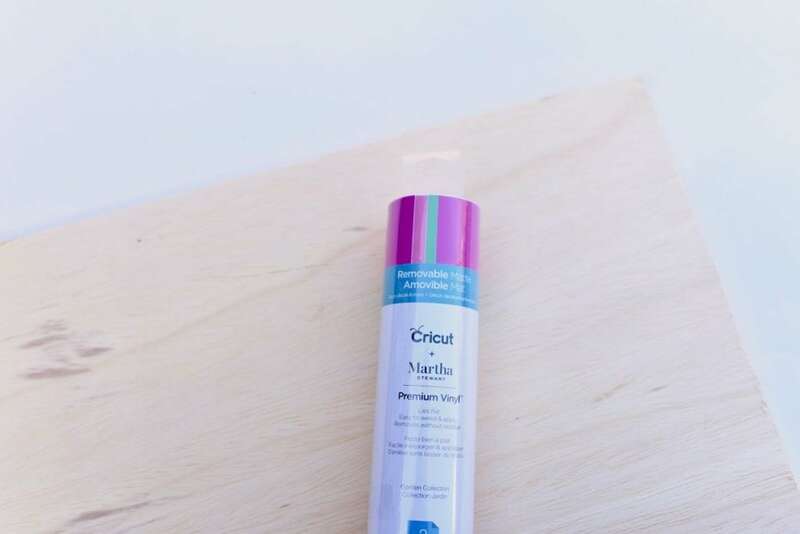 I chose to use the Cricut Martha Stewart Premium Vinyl because it’s removable without any residue for up to two years, which makes it very easy to remove after painting. Because it’s a premium vinyl, it’s very easy to weed, and can be used with any Cricut cutting machine. I used my Cricut® Explore Air™ 2 Special Edition, Martha Stewart Machine Bundle to cut out my design because it’s an absolutely incredible machine! 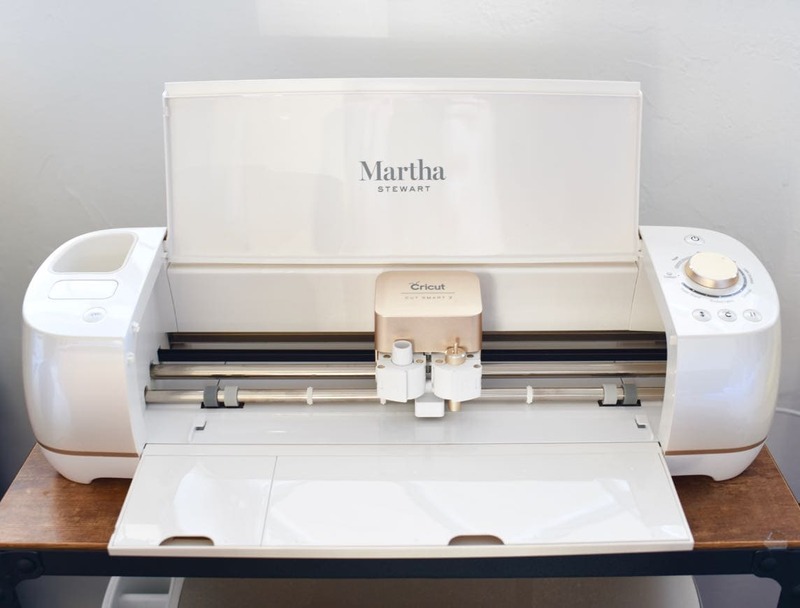 Not only does my Cricut Martha machine look pretty with its’ shimmery pearl color and gold accents, it can cut over 100 different materials! Vinyl, cardstock, foil, and even faux leather are cut perfectly with my Cricut Martha machine. You also get 25 exclusive Martha Stewart images that are included in the machine bundle that is sold exclusively at Michaels. Score! Step 3. Once your design is all cut out, use a weeding tool to remove the design portion of the stencil. Basically you will be removing any pieces of vinyl where you want there to be paint. If the vinyl was stuck at all, I used my Cricut TrueControl Knife to make a tiny cut to remove it. Their new knife is so sharp and can cut many materials, . It has a genius anti-roll design so it doesn’t roll when you place it down. It has a hands-free blade changing system, so you can safely change blades without any worry about safety. Apply transfer tape to the entire design, pressing the clear tape firmly over your design. Carefully lift up the transfer tape, making sure that the vinyl is adhering to it. Press the transfer tape with your design on it onto the wood exactly where you would like it, making sure that it is even and centered. 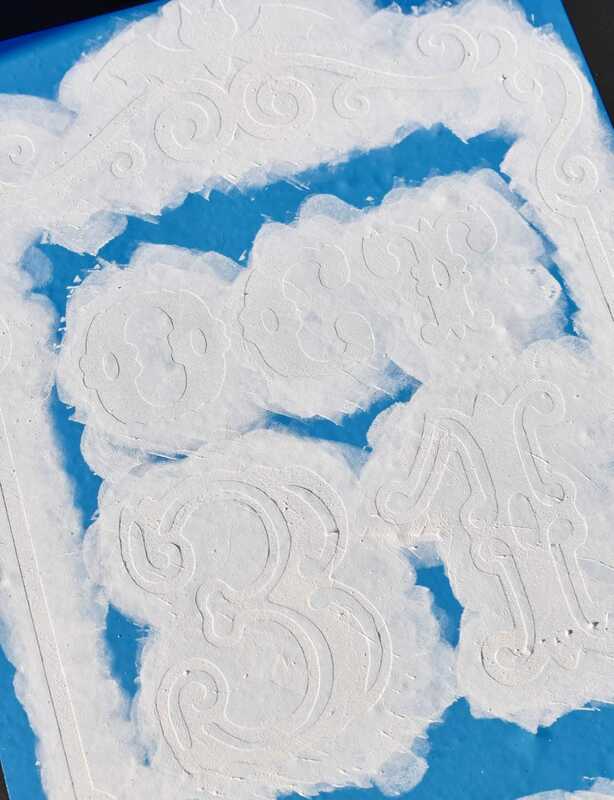 Use a brayer or your hands to press down firmly across the entire stencil. Slowly peel up the transfer tape to remove it, making sure that the vinyl is sticking down onto the wood. Use a brayer or your hands again to press down firmly on the stencil. Step 4. 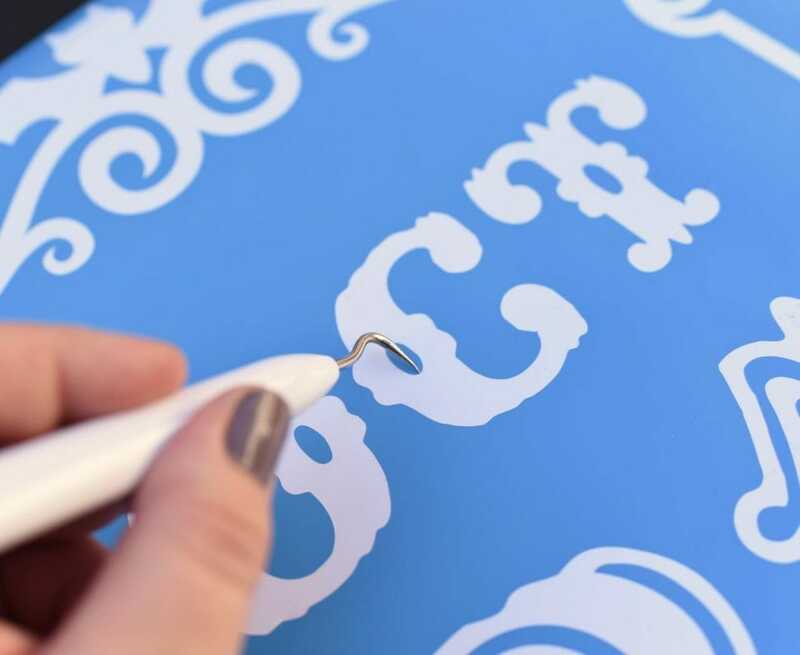 To prevent bleeding, apply a thin layer of paint in all directions with a paintbrush over the openings in your stencil in your sign color. Because my sign is black, I brushed on black paint. This first layer of paint is important because any bleeding that will happen will be done with paint that is the same color as the sign, so it won’t be seen. Genius, right? This works great for all different types of DIY wood signs. Let that layer of paint dry, then apply a light layer of white (or your preferred color) over that. Let it dry, then apply another coat or two of paint. Peel up the vinyl stencil to remove it, and you should have nice, crisp paint lines. If there are any places you need to touch up, you can do so with a small paintbrush and paint. Step 5. This part is optional, but I used a fine grit sanding block to sand over the entire front of my wood sign. I wanted the sign to look a little aged and distressed. It made the sign look like it wasn’t brand new, which was just the look I was going for. 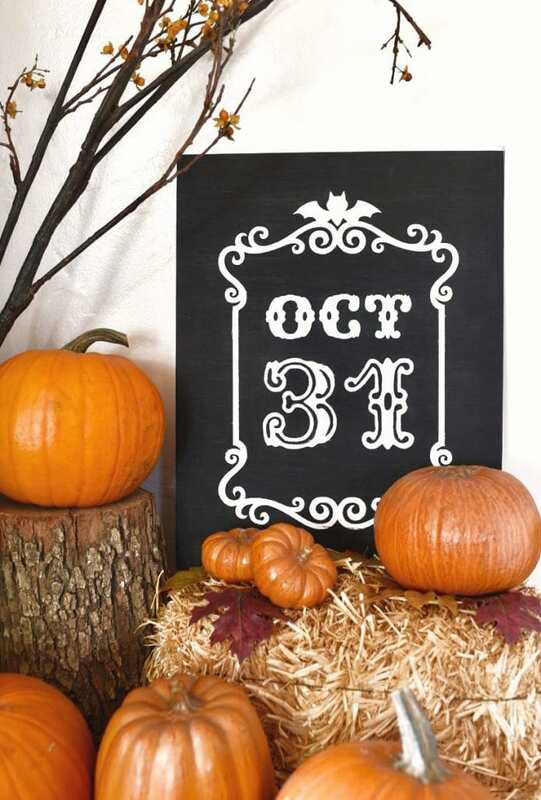 I LOVE my new Halloween wood sign! It’s amazing to me how easy it is to create my own custom wood sign with my Cricut Martha machine and just a few simple supplies. I’ve already got more DIY wood signs in the work for the upcoming holidays that I can’t wait to share with you! Once I started on these painted wood signs, I just couldn’t stop making them. 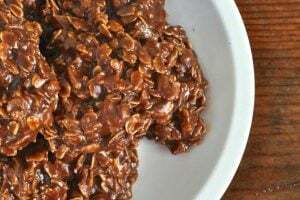 Give them a try and see for yourself!